'Weird' food could be perfectly normal food to someone living in a different culture. It could be a familiar food to us, but challenges our sense of taste when manipulated by flavors and odd combinations. But the reason I try it all is because you just don't know if you've found something special until you taste it. With that being said, there have been plenty of regrettable food choices in my day. For example, pickle back shots. What. The. F! Why is this shot showing up on chalkboard bar menus around NYC?! It's the hipster version of a dirty martini...I think. Take a shot of something brown (Jameson?) and chase it with the green stuff. Yuck. If I wanted my ankles to swell I would at least eat the pickle. But to drink a shot of pickle juice is just wrong. I went to a yakitori dinner in Kyoto, which was made up of multiple skewers of chicken bits. I went with the flow, and let my yakitori-specialist friends do the ordering. We tried everything from gizzards, to knuckles, to butts. The idea of ovaries on a stick was horrifying and intriguing. 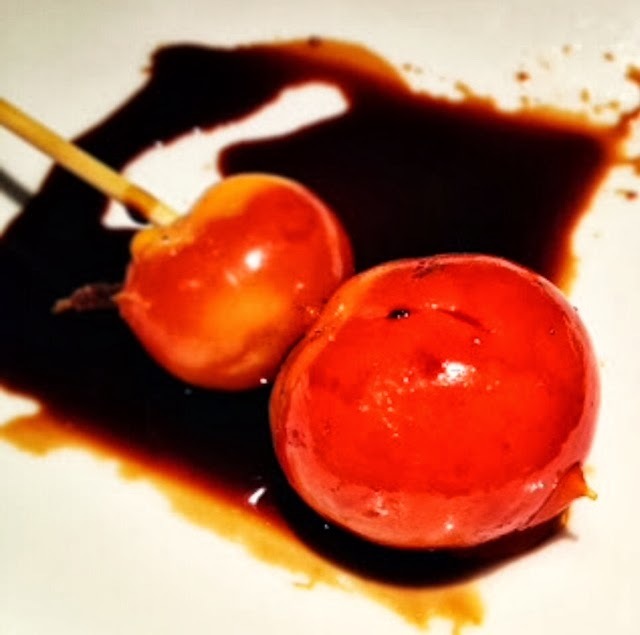 I almost mistook it for a cherry tomato skewer when it arrived. I rubbed it into the sauce and took a small bite. Yellow ooze spilled from inside and I have to say it wasn't bad. After all, isn't it just an egg yolk essentially? This ovary could've been an egg someday but us American tourists stole it away in vein of my food goals. 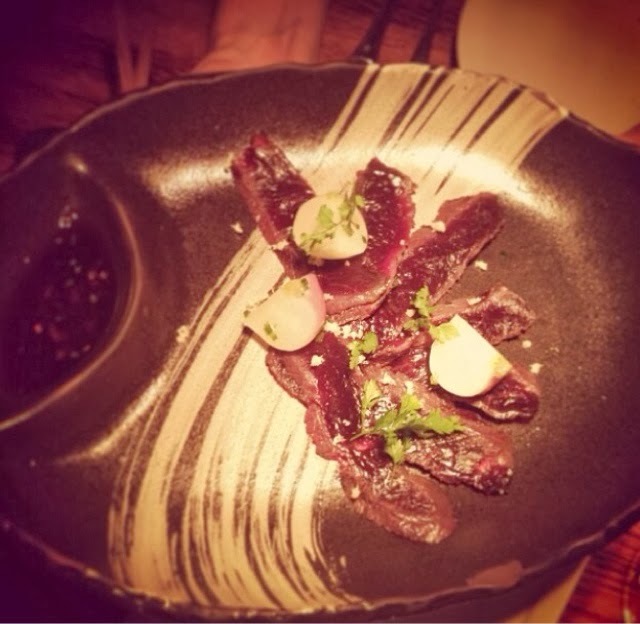 On several menus around Sydney I saw kangaroo pop up. Kangaroo filet was most popular. By the end of the trip I had realized that I still hadn't tried it. As a last resort, I picked up a bag of spicy kangaroo jerky in the airport. When I got home I tried it. 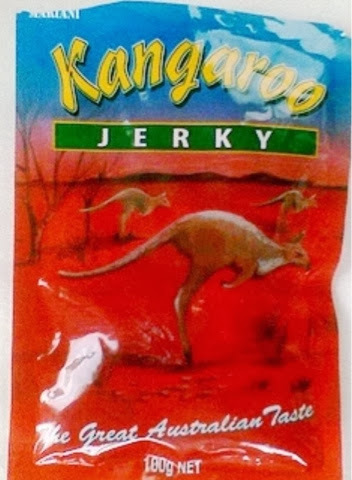 The idea of eating kangaroo was just sad, so I think that affected my opinion of the snack. I'm not a jerky fanatic anyway but if I had a choice, I'd go beef next time. Who knew I would love slugs! I'm not sure what I love more; the snails themselves, the buttery pesto sauce they are swimming in, or the utensil to clamp the shell to remove them! The experience was all around incredible at La Jacobine. 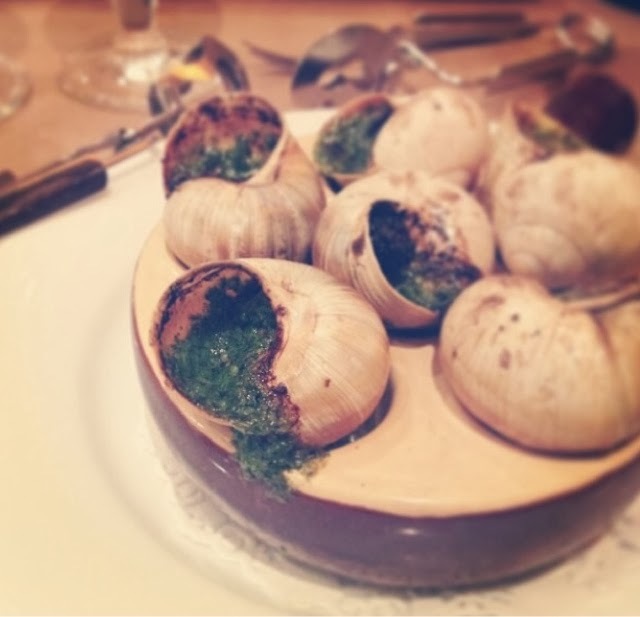 The escargot was not too chewy, and full of flavor. A perfect evening in Paris with good wine and good company. I don't think it's quite as genius as the peanut-butter-and-jelly combination but I definitely didn't say no to this cookie beer. At the Delirium Cafe in Brussels, there are over 3,000 different beers to choose from. I happened to pick some of the strangest like Cookie Beer, Coconut Beer, and Banana Bread Beer. 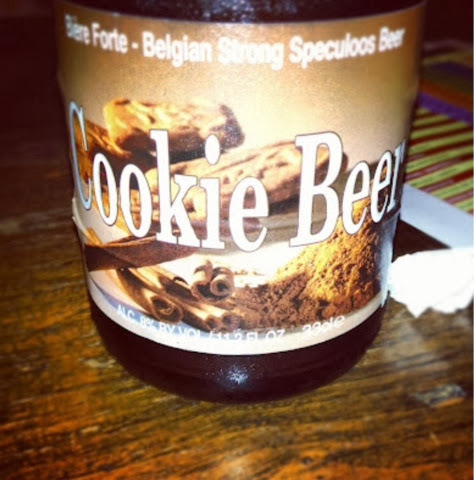 Cookie beer still had a full beer taste, but had hints of cinnamon sugar and actually tasted like cookies. Interesting. It may just be my new drink of choice! These days ice cream has no limits. With liquid nitrogen, I am pretty sure any flavor can be made. Squid ink, avocado, and lobster flavored ice cream has been made throughout the US, but I have yet to attempt those flavors. Baby steps. 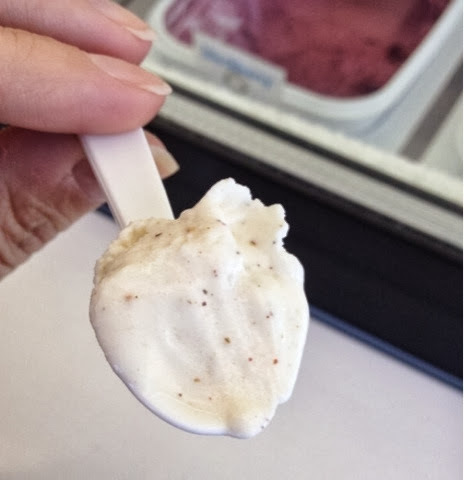 At Il Laboratorio Del Gelato in the Lower East Side of Manhattan, the flavors aren't your typical chocolate chip and vanilla swirl. I recommend sampling flavors like chestnut, cheddar cheese, or in my case, black peppercorn. It still had the sweet taste of milky ice cream, but I found myself mildly choking on the spicy aftertaste...in a good way! I know it sounds strange, but I think it totally worked. This could be the future of sweet-meets-savory desserts! Well, anything with sesame sauce really can't be that bad. It came to my plate, compliments of the chef, at the Shinjuku Hilton one night. Jellyfish is very accommodating. It will adapt to any flavor, in my opinion, the way tofu would. Regardless, if you don't enjoy the crunchy texture you may not like it any way. I've tried it since then in New York and Hong Kong. It has been, by far, the best with sesame sauce! 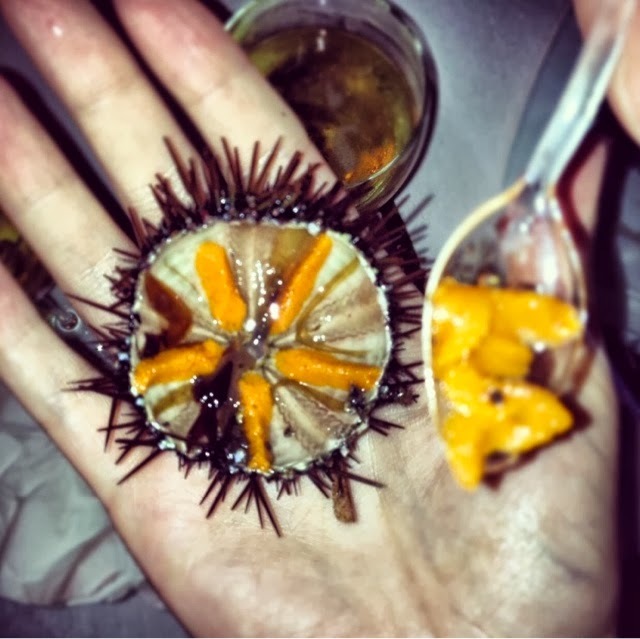 In no way do I actually consider this to be a "weird" food now, but my first time trying sea urchin (or, 'uni') I was a bit scared. The texture is soft and mushy, or as an anti-uni friend of mine said, "like a loogie." I got past the texture because the flavor is out of this world. It's briny, salty and nutty. This particular time in Sicily, I was fortunate enough to enjoy it straight from the shell. 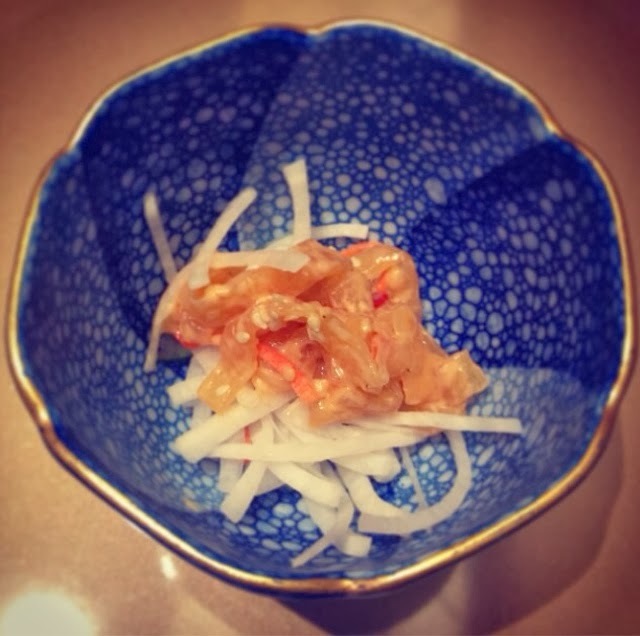 It was the freshest uni I've ever had and I'll never forget how lucky I was to try it in its purest form. It's not really a century old but it's old enough to be long past expired by my standards. Century eggs are actually preserved for several weeks or months in a mixture of clay and ash. The result is a green yolk surrounded by a brown translucent gel, and a major fart aroma. 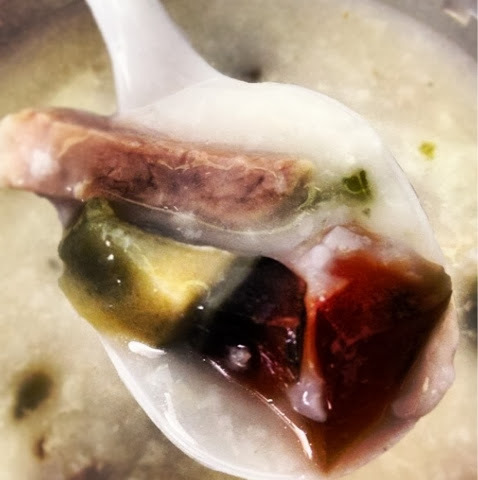 Typically served a variety of ways in Chinese culture, I tried it in congee, a rice porridge with pork. Straight from Chinatown in NYC. Each bite of egg was creamy, yet gelatinous in an unfamiliar way that my body was rejecting. If I let my mind be open to it I think I might actually like it. You see, I love eggs. Especially a yolk that's cooked just right (a tad runny). And this egg yolk could work its way into my heart, maybe someday. I paid a visit to the worlds most inexpensive Michelin Star rated restaurant, Tim Ho Wan, in Hong Kong. It's a famous dim sum spot where the wait can be hours before getting a chance to eat at one of the restaurants few tables. 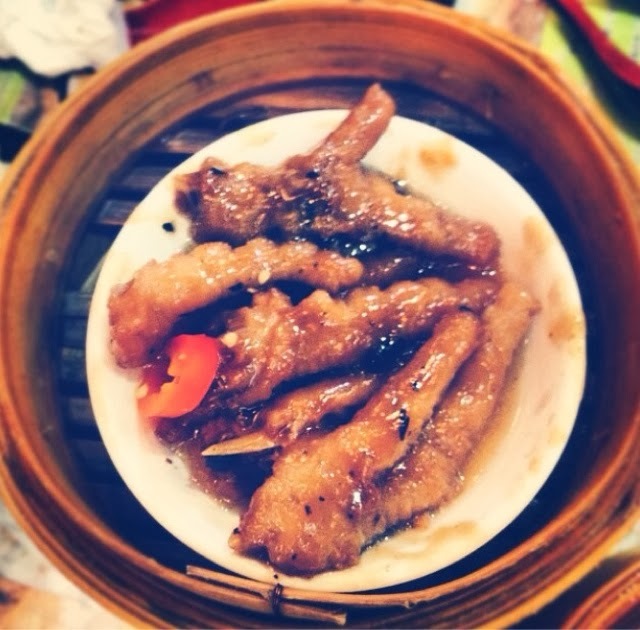 The taste of the chicken feet was nice. The flavor was not the problem. It was the fatty skin-on-bone thing that got me shivering upon first bite. The texture was just too fatty for me. I guess if it were fried I'd probably enjoy it more!